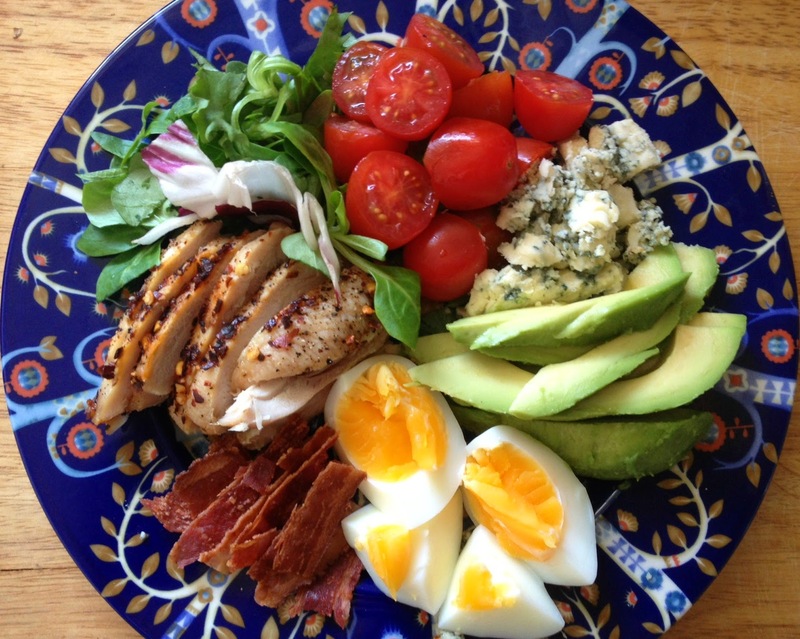 The Cobb salad is the king of salads. The salad is an American classic, named after restaurateur Robert Cobb of the Hollywood Brown Derby restaurant. It dates back to 1937 it's one of the few salads that actually feels like an entire meal. Surprisingly, this salad is a brilliant hangover cure. It's all of your favourite things lined up together trying to pretend that they're healthy. Oh blue cheese, I love you but you're fooling no one. Balsamic vinegar (the traditional Cobb Salad calls for a red wine vinaigrette, I used all of my red wine vinegar over Easter so I improvised). Pop your egg on to boil. Get chopping and arrange the rest of your salad ingredients, there's no need for tossing. By the time you're done chopping, your egg should be done. Peel and chop into sections, add it to your salad dish. Save your avocado until the end so it doesn't brown while you're doing the rest of your chop-chop-chopping. Drizzle your salad with a little balsamic or vinaigrette and sprinkle on a little salt and pepper. Eat in front of old Hollywood movies, it seems only right.